BTS World Tour: Love Yourself in Seoul in Park Cinema Metro Park buy tickets online. Delivery of tickets for the event BTS World Tour: Love Yourself in Seoul. 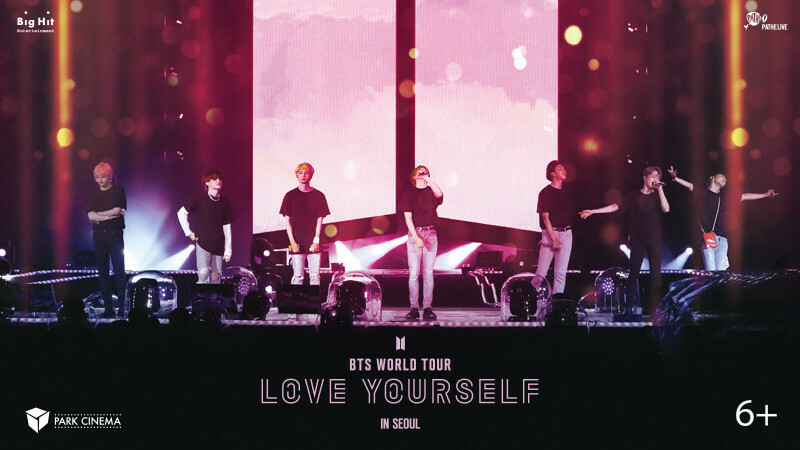 Shot at the Olympic Stadium in Seoul during the BTS WORLD TOUR ‘LOVE YOURSELF’, an exclusive screening of the most sought-after concert of 2018 hits movie theaters worldwide for a one-day only event. This event will bring fans together to celebrate the seven members of the global boyband and their unprecedented international phenomenon.